A.P.S Rewinds & Sales conduct electric motor rewinds and pump service and sales in Belmont. Malcolm Thompson Pumps has been providing pump solutions to Australian and international Industries for over 40 years. With branches Australia wide we provide services that we have identified as being essential in providing customised pump solutions. Grundfos Pumps offer an extensive range of high quality pumps for a variety of agricultural, farming and industrial applications. Paterson Pumps Australia are leading designers and manufacturers of Axial Flow Pumps, offering a complete range of custom made pumps for irrigation, waste water, recycling, aquaculture, industrial and water authorities. 25/02/11 - The SouthernCross range of water tank flow pumps are constructed from stainless steel and can be used in a variety of domestic and rural applications. 11/08/08 - Airwell Pumps provide a distinctive range of special application pumps. 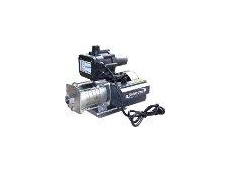 These pumps have been specifically designed for hazardous applications. 30/07/08 - Diesel Parts and Service provides two types of vertical mounted pumps such as ZB axial flow pumps and large vertical pumps. The ZB series of axial flow pumps are designed with column extensions.